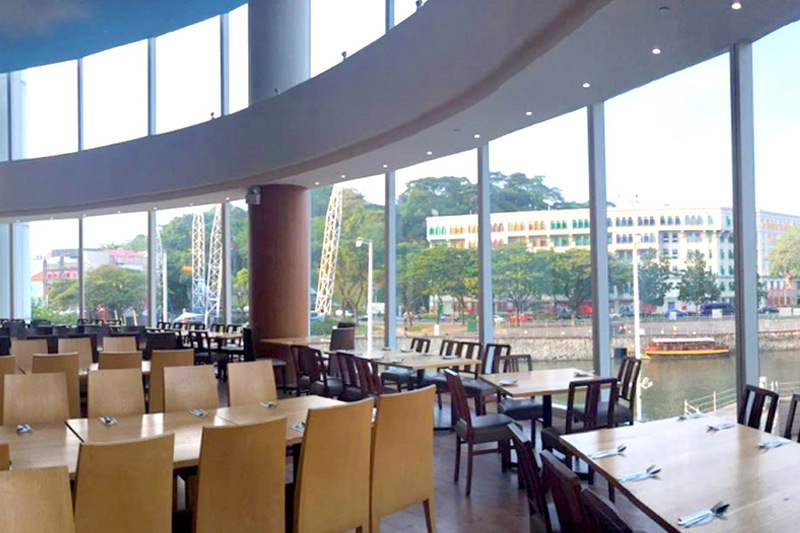 These are some of the Best MUIS Halal certified Buffet restaurants in Singapore, where you can get together with family, friends and colleagues for a jolly good time and feast. 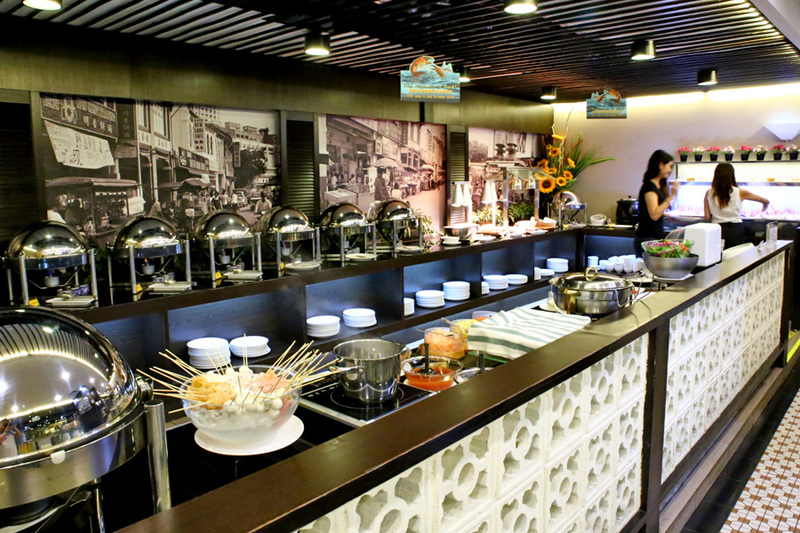 Primary hotel buffet focused, with a few located in shopping malls. Let me know if there are any other recommended Halal Buffet Restaurants to be featured. 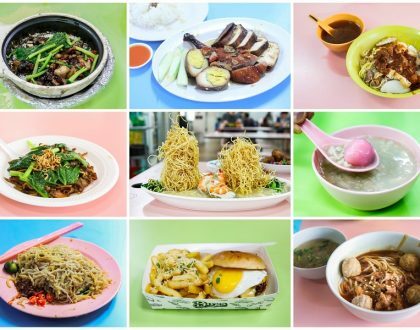 StraitsKitchen is a familiar name to many Singaporean foodies, and is where we would bring foreign guests to have all the best of local delicacies in one place. The Laksa, Tandoori and Butter Chicken, Satay, Beef Rendang, Carrot Cake, Hainanese Chicken and Pandan Kaya Cake (just naming some) continue to be my favourites. The live theatre kitchen will also allow you to catch some of the action especially at the Satay and Naan sections. 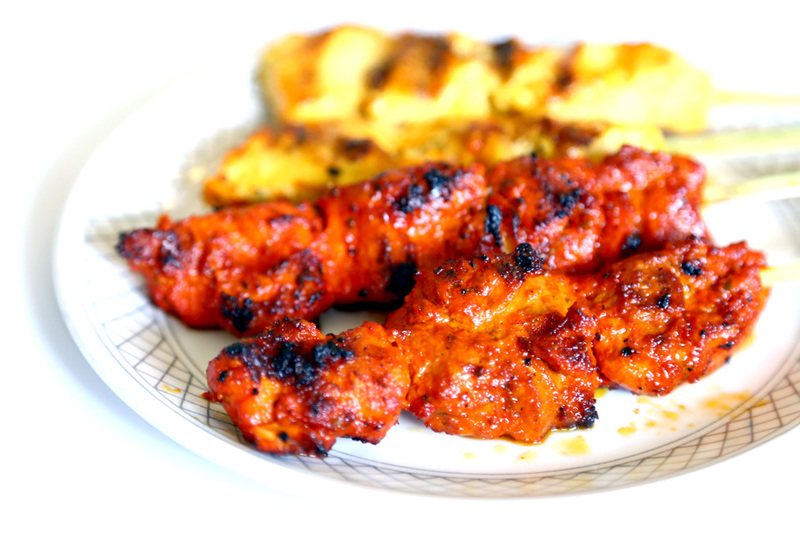 Don’t miss the chicken satays, grilled right in front of you with charcoal, then served with slurp-worthy peanut sauce. Buffet Lunch goes for $52++ (adult) and $28++ (children 7 – 12), and Buffet Dinners is at $62++ (adult) and $35++ (children 7 – 12). 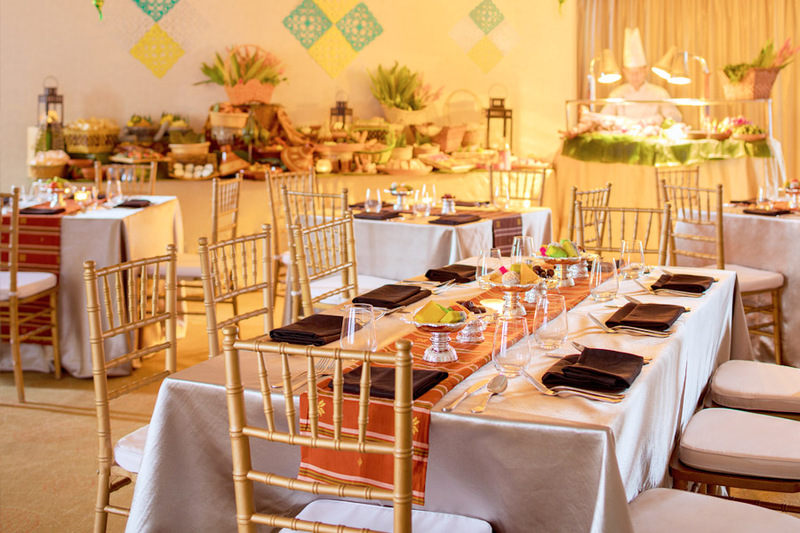 Carousel at Royal Plaza on Scotts has always been the company function, bring foreign friends, corporate gathering, birthday kind of buffet restaurants. Very popular amongst locals and foreigners, especially since the food is halal. 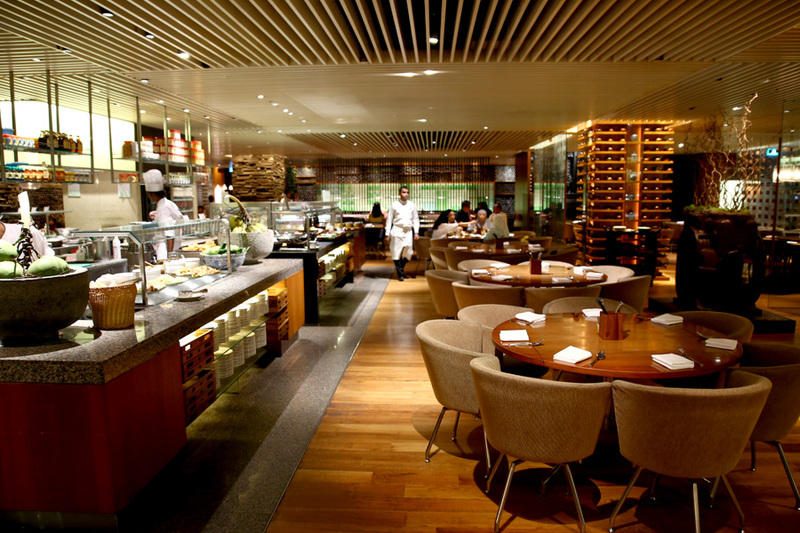 Sometimes it is too popular that the restaurant gets congested and food finished fast. And prices keep increasing (I know because I have to update every few months). Opps. Special mention must be made of the personable service, as most of the staff always are friendly and personable. If you have a friend celebrating a birthday, alert the staff and be prepared to enjoy their birthday song and cheers (Did I give the surprise away?). Interesting. 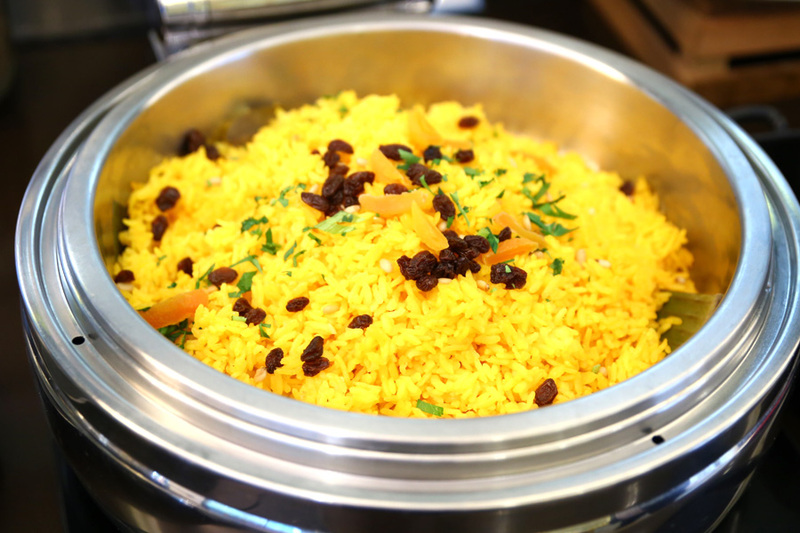 A Mediterr-Asian theme buffet with Mediterranean favourites such as Spiced Basmati, Sultana Saffron Rice, Fattoush Salad with Sumac and Olive Oil, Buffalo Mozzarella and Roma Tomatoes with Pesto Sauce. After going through a recent update, there is a new station featuring items such as Seafood and Chicken Paella, Tortilla de Patatas Espanola (Spanish Omelette with Potatoes) and assorted pizzas (for the kids). 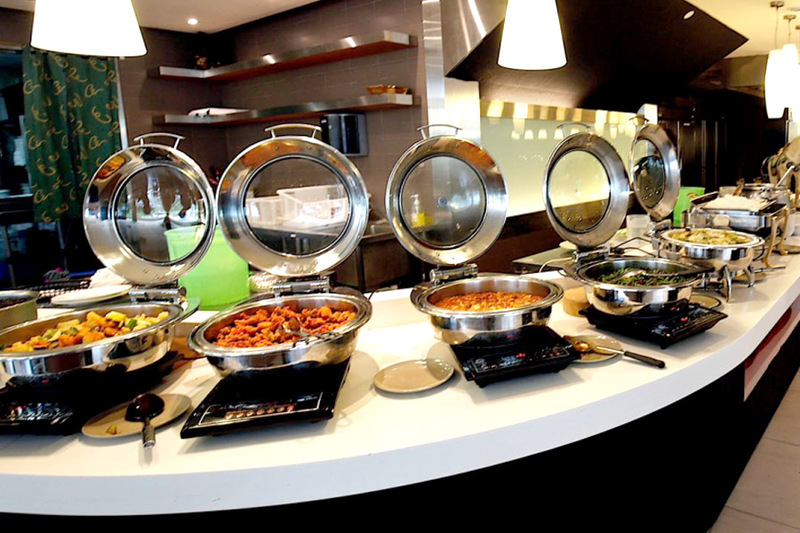 The buffet also caters to those craving for familiar street Asian food, with the likes of Barbecued Chicken with Sambal Squid Rings, tender Braised Lamb Shank, and savoury Clams in Assam Chilli. Literally having the best of both worlds. 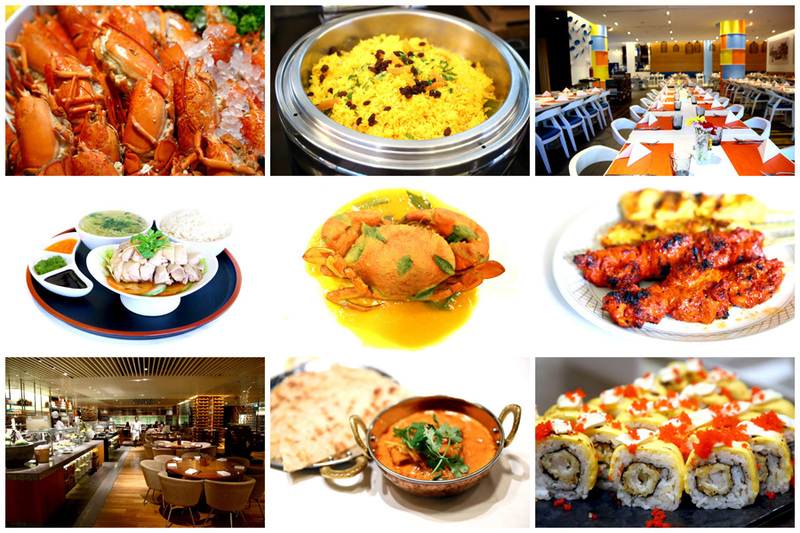 Buffet spread of Asian and International cuisines, favourites include Singapore Chilli Crab, Lamb Rogan Josh, Seafood Au Gratin, an array of desserts. 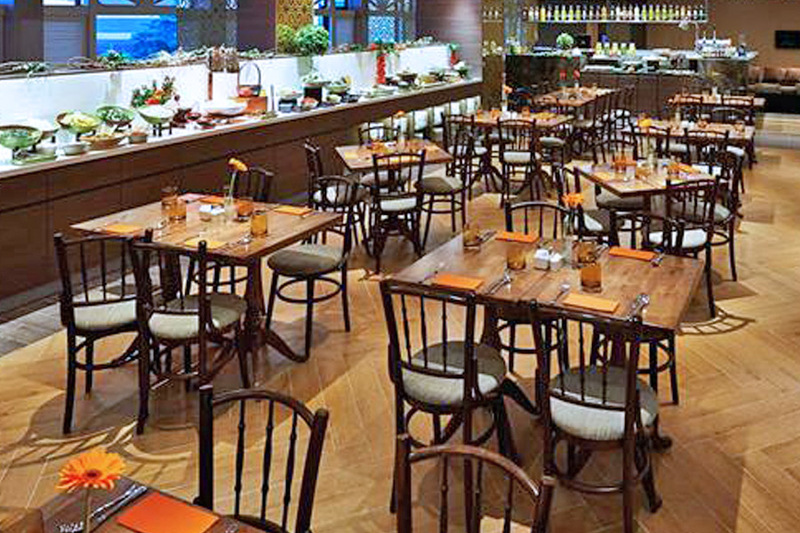 The restaurant has received Halal certification for all its food stations. 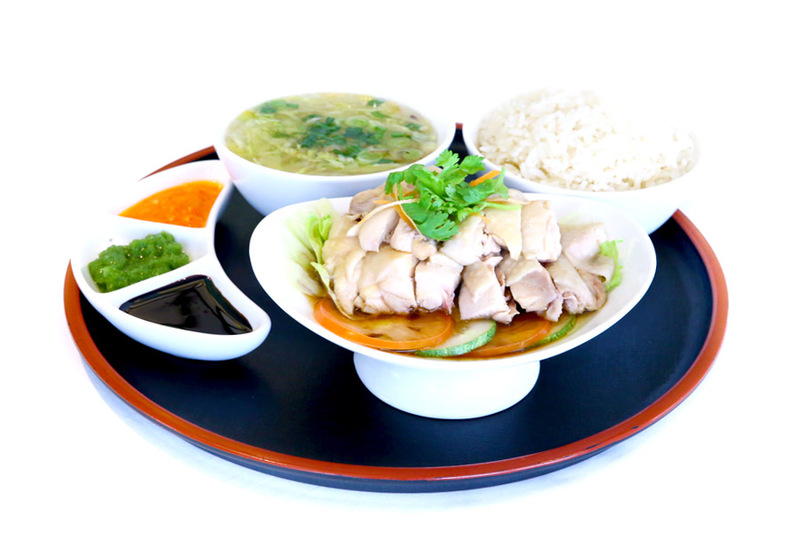 One of my personal recommendations would be the Hainanese Chicken Rice, also known as the “Legendary Mandarin Chicken Rice”. The Hainanese Chicken Rice is one of the best you can find at a buffet restaurant in Singapore – succulent, tasty, with fragrant rice. Offerings you can expect include Chilled Seafood such as Chilled Black Mussels, Razor Clams and Half Shell Scallops with Condiments (Hand shucked Oysters and Snow Crab only for dinner); Salads with different dressings, Fruit Rojak, Braised Duck Rice, Japanese Sushi and Sashimi, Chilled Noodles, Indian Food, Hot Dishes and Desserts. 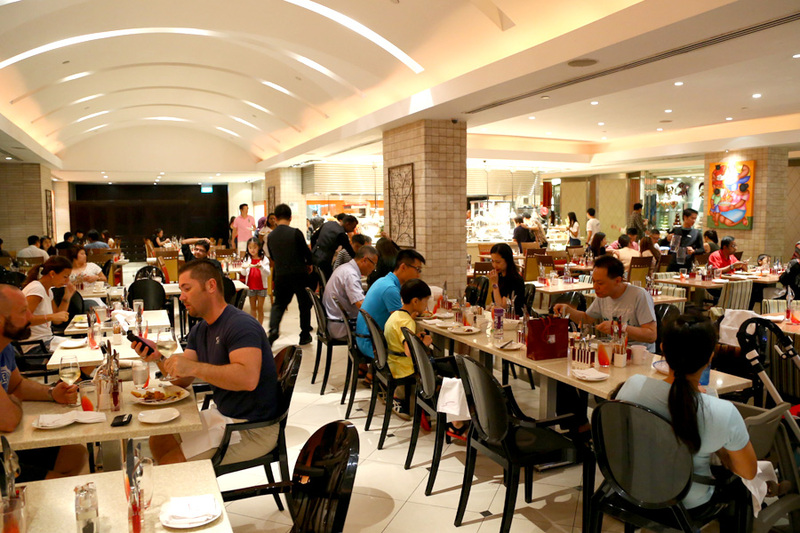 The highlights newly added is the Seafood Hot Station that serves Oyster Omelet, Steamed Hot Bean Crayfish, and Chilli Crab. 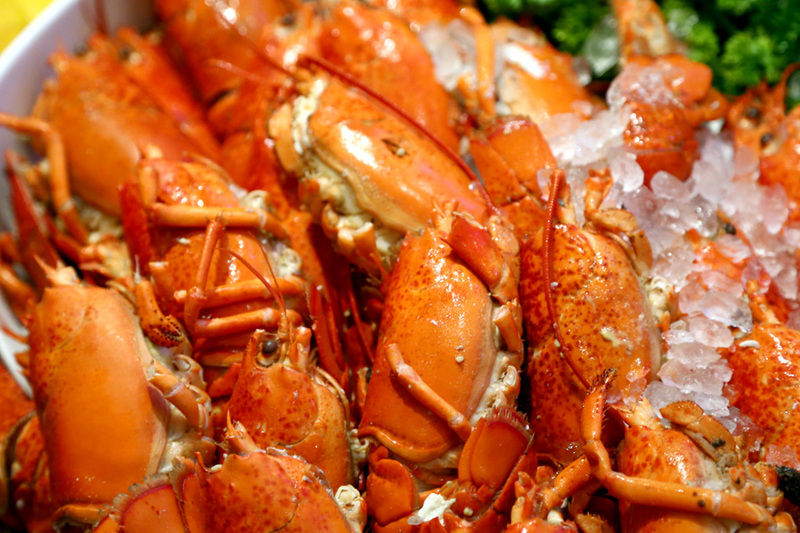 Penang St has hit the right note by offering a ALL YOU CAN EAT CRAB Buffet, that is Halal, with variety, that offers not just crabs. 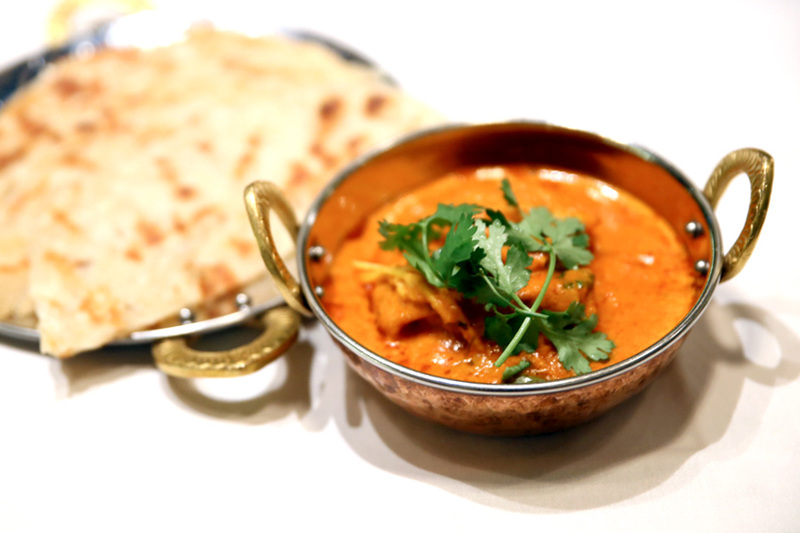 The kitchen team actually took the effort to churn out new flavours and items every round, so that regular diners do not get bored and always have something to look forward to. 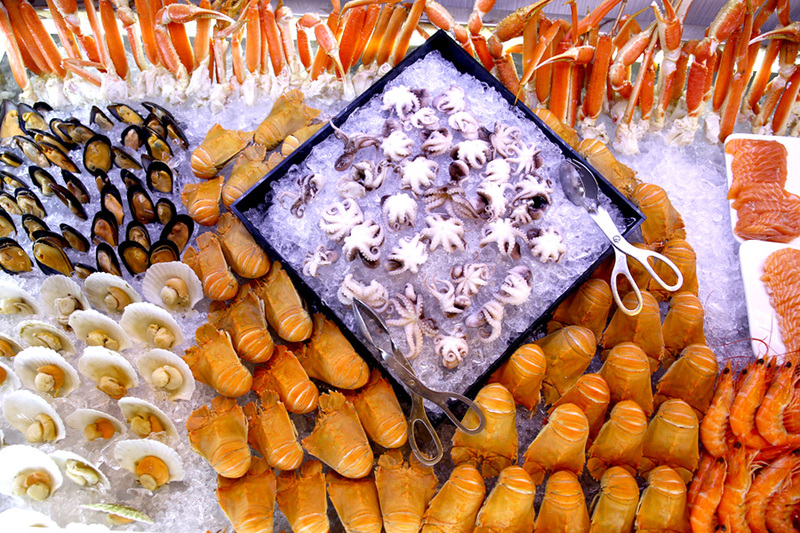 For this “Crab Madness” theme, the buffet includes all the fans’ favourites and more. 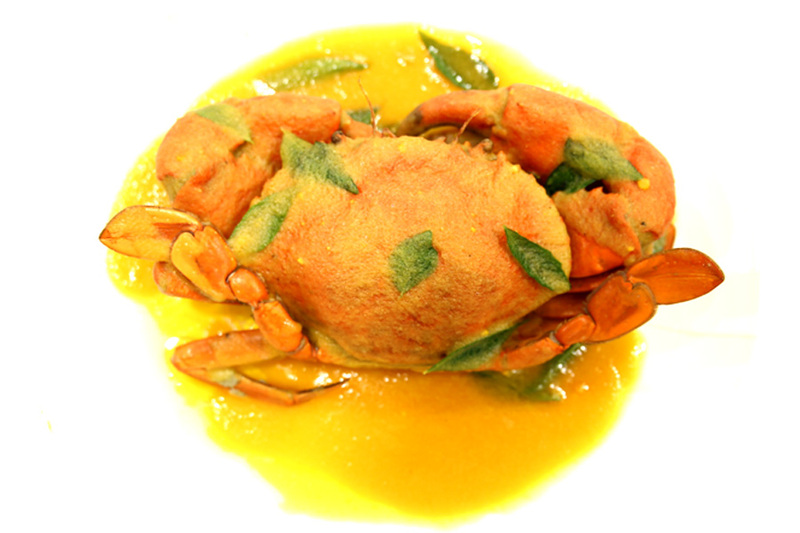 That means Salted Egg Crab, Black Pepper Crab, Chilli Crab, Butter Crab, Golden Sand Crab, Kam Heong Crab, plus new dishes Typhoon Crab (HK Style), and Tom Yam Crab. 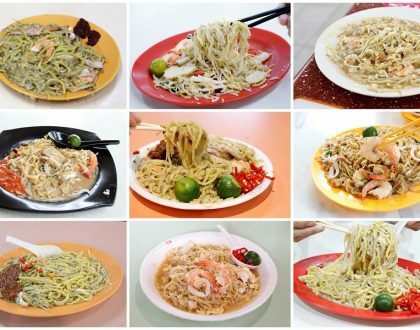 Even if you are lazy to pluck crab, there are offerings like Penang Fried Kway Teow with Crabmeat, Baked Seafood Rice, Kailan with Crabmeat, Seafood Roll, satay, pizzas, noodle from live noodle station, grilled items and desserts. Note: Prices vary accordingly to theme of buffet which changes seasonally. 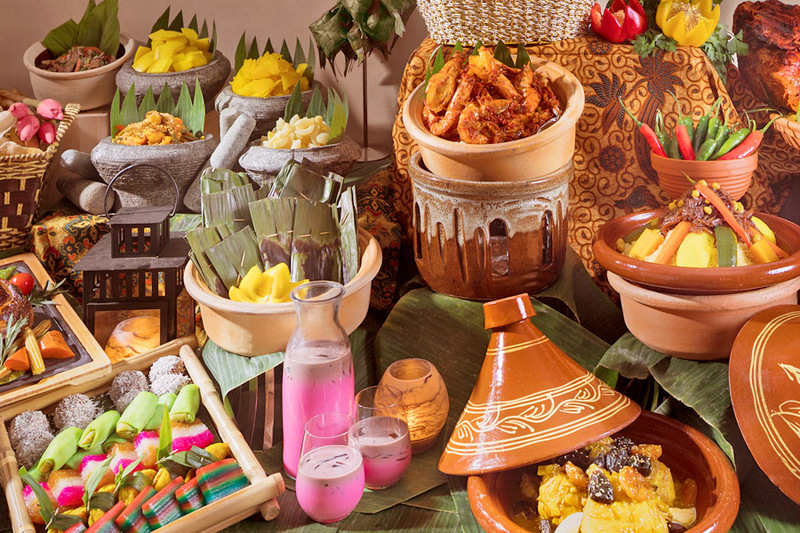 Hilton Singapore is introducing a Halal pop-up buffet restaurant specially for Ramadhan located on Level 24. 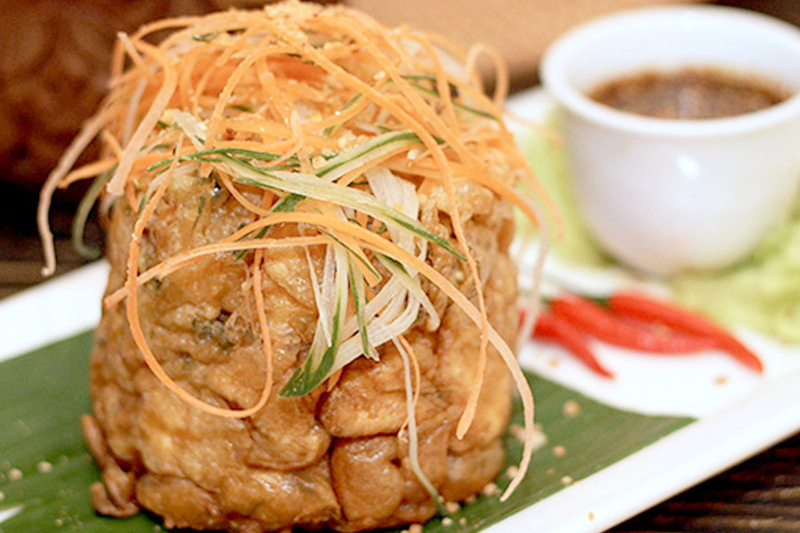 For main courses, try the chef’s specialties namely Beef Rendang, Udang Balado, Ayam Masak Merah, Ikan Masak Asam Pedas, Nasi Goreng Kampung or the all-time favourite Chicken and Lamb Satay with Peanut Sauce. In addition, you can make a beeline to the popular live station for à la minute Penang Assam Laksa or carvings of juicy Whole Roasted Sirloin, Whole Baby Lamb and the Ayam Percik with Spicy Sambal. 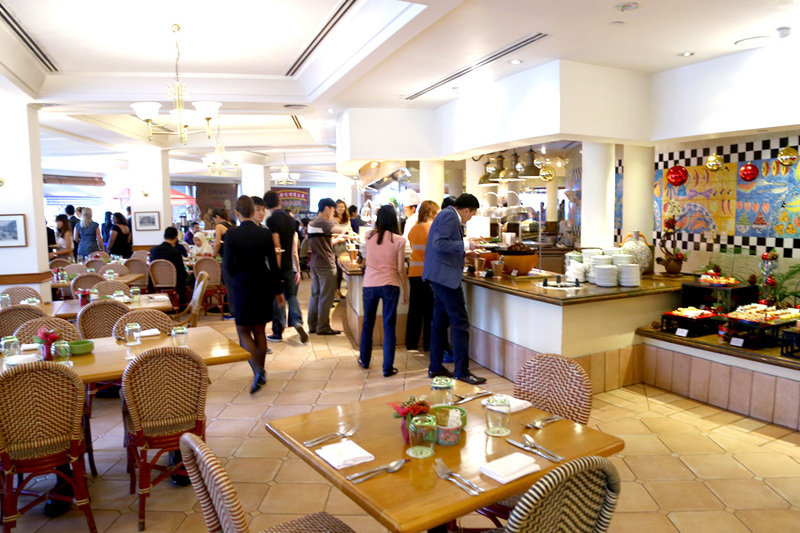 A Halal Peranakan restaurant in the east. 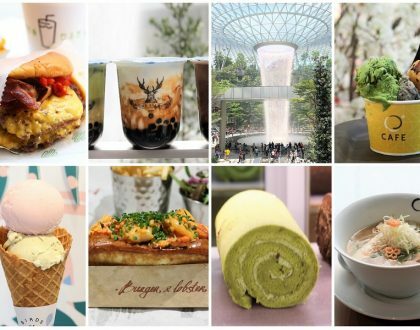 Signature dishes to expect here include iconic dishes such as Nonya Laksa, Chilli Crab, Nonya Curry Fish, Ayam Buah Keluak, Beef Rendang, DIY Kueh Pie Tee and Durian Desserts. 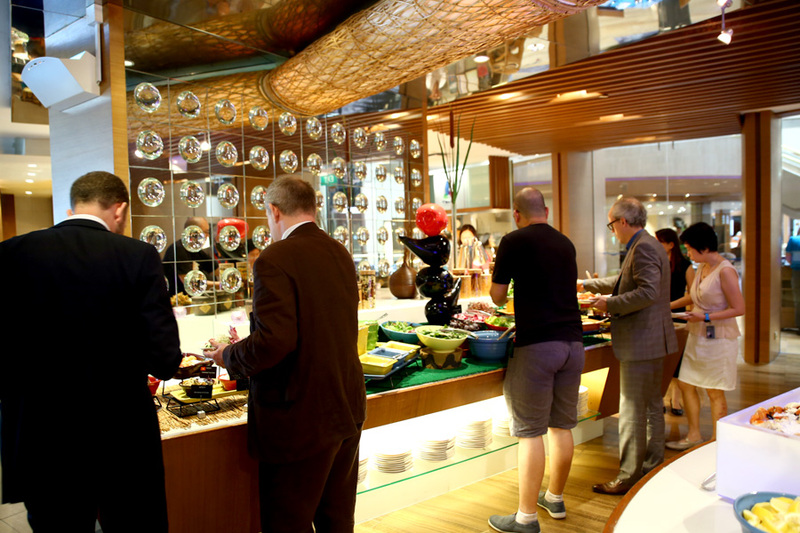 During the month of Ramadan, there is a special “Oishii” Japanese food section. You can expect a Tempura station (prawns, shiitake, and more), Grilled Saba fish, Cold Soba, and variety of Sushi and Sashimi. 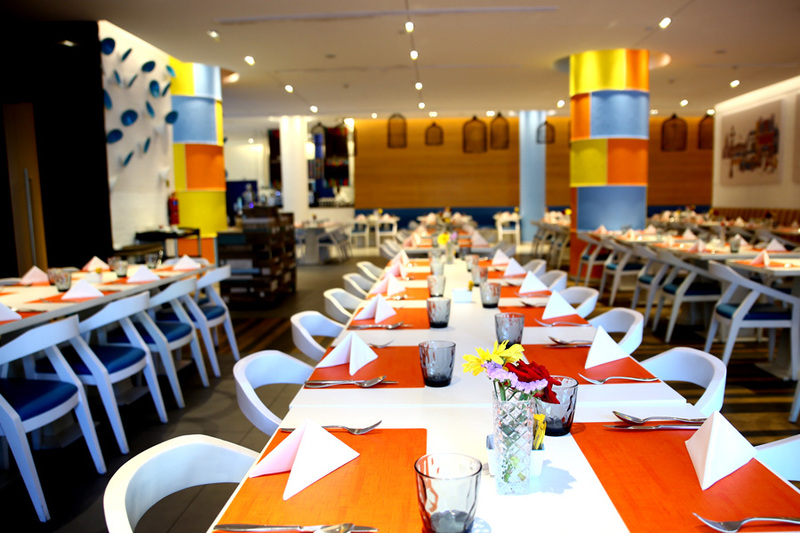 There will also be complimentary dates for every table, and free flow of bandung. Previously from Park Mall (and was very popular once in time), this is possibly the only MUIS Halal-certified Mongolian BBQ restaurant in Singapore. Kublai Khan Mongolian Barbeque offers a reasonable spread of seafood, Western cuisine, Japanese food such as sushi and sashimi, teppanyaki, dessert with free flow of drinks. The standard fare actually. Its highlight is the freshly sliced meat of beef and lamb is prepared Mongolian style with accompaniments and sauces on an over-sized hotplate. 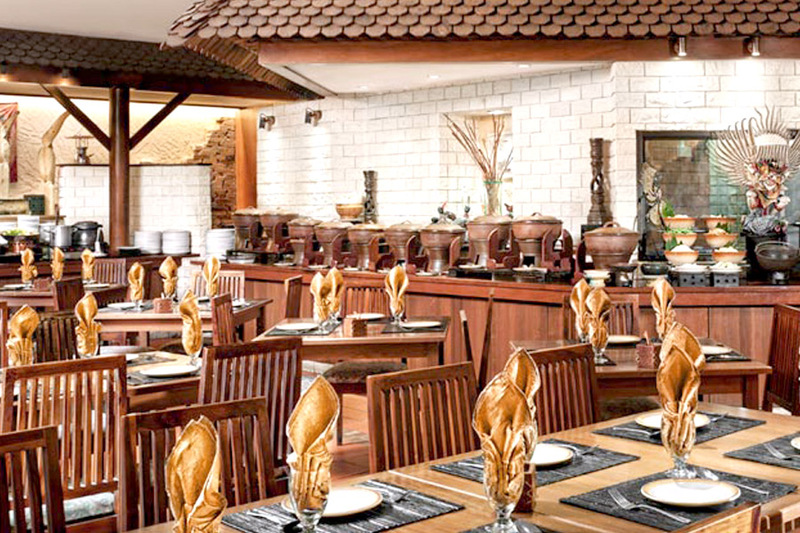 Established since 1985, Kintamani at Furama RiverFront Hotel offers Halal Indonesian cuisine, helmed by Chef I Gusti Nyoman Kaler. 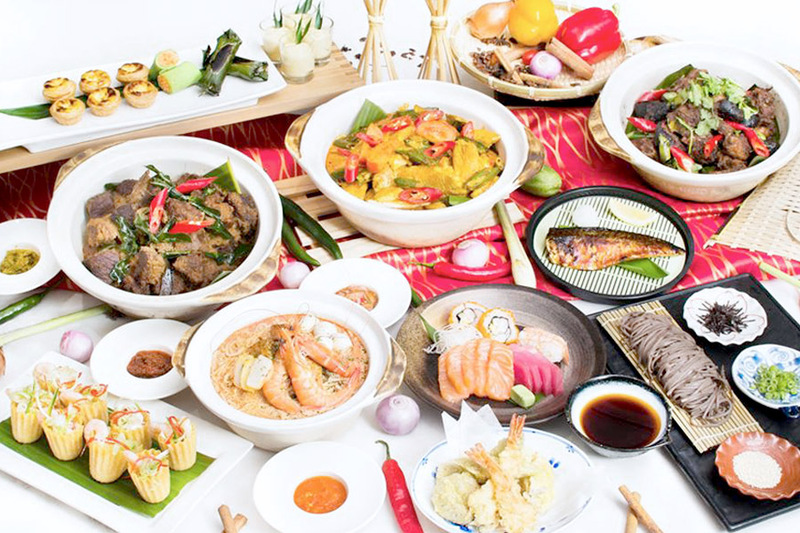 Its spread include both traditional Balinese cuisine and modern Indonesian fare, and popular dishes include Gado Gado Jakarta, Rendang Daging Sapi, Tahu Telur Surabaya, Udang Goreng Mentega, Rojak Mangga Muda, Iga Daging Sapi Bakar, Ikan Bakar Jimbaran, and dessert of Es Chendol. * Follow @DanielFoodDiary on Facebook and Instagram for more food news, food videos and travel highlights.